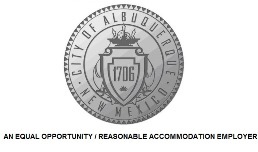 The City of Albuquerque invites applications for the position of: Librarian M15. Perform a wide variety of professional library work within an assigned area of library operations including acquiring, cataloging and circulating material for a specific function of the library; provide a wide variety of public services to library patrons including reference services, circulation and research activities; maintain library collection including the cataloging of books, films, records and other materials; and participate in various special programs including children’s programs, youth programs or library educational programs;may supervise, plan and coordinate the operations and activities of an assigned branch library or unit. Master’s degree with major course work in library or information science or a related field from an American Library Association (ALA) certified institution, plus two (2) years experience in an academic, public, school, special library, bookstore environment or information services field. ADDITIONAL REQUIREMENTS:Possession of a New Mexico Driver’s License (Class D), or the ability to obtain by date of hire. Possession of a City Operator’s Permit (COP) within six months of hire date. This position closes January 27, 2015.